After a months-long lull in activity, North Korea test launched an intercontinental ballistic missile on what appears to have been a lofted trajectory. According to the Pentagon, the weapon flew for a distance of 1,000 kilometers before splashing down near Japan. Very few details were immediately available. The South Korean Yonhap wire service — which initially reported the North Korean missile test based on its sources in Seoul — offered some additional details. According to the wire service, the weapon flew a horizontal distance of 960 kilometers (597 miles) but reached an altitude of 4,500 kilometers — or 2796 miles. That means that the missile flew a high lofted trajectory out into space — well above the orbit of the International Space Station at 408 kilometers (253 miles) — before coming back down after its roughly 53-minute journey, landing some 210 kilometers (130 miles) off the Japanese coast. 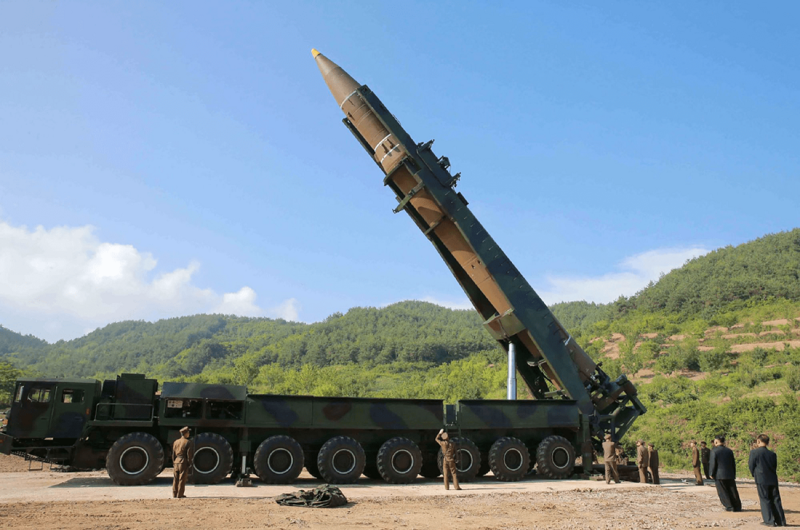 The missile also flew significantly higher than North Korea’s previous ICBM test on July 28, which reached a comparatively paltry 3,700-kilometer (2,300-mile) altitude. 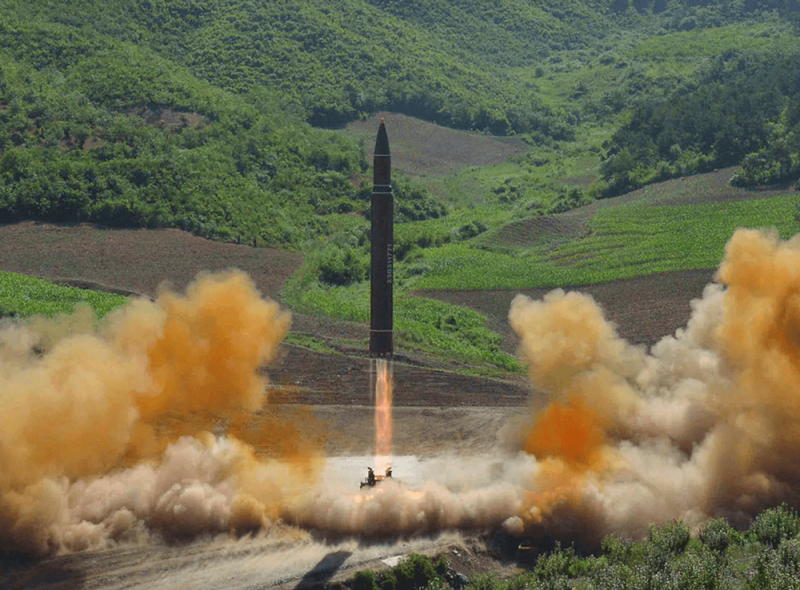 While it is too early to be certain as to exactly what kind of missile the North Koreans tested, analysts are starting form a consensus that the weapon was a HS-14 ICBM. It was a “Hwasong-14 with a bigger upper stage,” Jeffrey Lewis, director of the East Asia Nonproliferation Program at the James Martin Center for Nonproliferation Studies at the Middlebury Institute of International Studies at Monterey told The National Interest. Others agreed with that assessment — and suggested that further North Korean missile tests would push the envelope further as Pyongyang attempts to perfect an ICBM capability that could strike directly at the U.S. mainland. While it should have been apparent to everyone after North Korea’s July 28 ICBM test that Pyongyang now possesses a weapon that can strike directly at the United States, this latest missile test removes any doubt that the Democratic People’s Republic of Korea has the capacity to hold the American homeland at risk. That holds true even if the North Korean weapon has not yet been perfected. “Today’s test is North Korea’s third successful ICBM test since July. 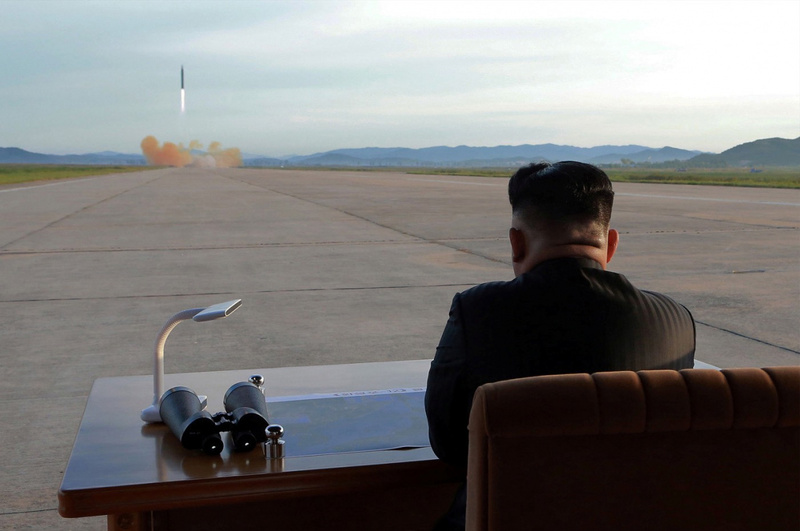 The test flew longer and higher than the previous two tests, suggesting that North Korea has improved the capability of its (likely) HS-14 ICBM,” said Kingston Reif, director for disarmament and threat-reduction policy at the Arms Control Association. While some had assumed that external pressure from the United States and its allies had convinced North Korea to hold off on testing, arms-control experts never bought that line of reasoning. Lewis had hypothesized that the lull in North Korean missile tests was probably seasonal, but there could also be other reasons. Indeed, as Reif notes, Pres. Donald Trump’s policies have only exacerbated the standoff with North Korea. Cirincione noted that North Korea missile and nuclear tests are driven by the Kim regime’s internal dynamics rather than by Trump. What the missile test does highlight is the fact that Washington must find a diplomatic solution to this crisis as North Korea continues to rapidly advance its nuclear-weapons and missile programs. While the outlook is bleak, there is a potential silver lining. North Korea might be nearing the completion of its test series. That could mean that there might be some potential for a diplomatic solution. “One possible positive sign in this test: North Korean Foreign Minister Ri said at the United Nations in September that they were ‘finally only a few steps away from the final gate of completion of the state nuclear force.’ That could mean they intend to conduct one or two more missile tests and then declare their nuclear deterrent complete,” Cirincione said. Of course, the situation could deteriorate further if relations with the volatile North Korean regime are not handled carefully. Only time will tell how the situation develops, however, at this point, it is likely that the United States will simply have to live with a nuclear-armed North Korea. That means that deterrence is probably the only viable solution.